The Food Safety Modernization Act (FSMA) is the most sweeping reform of food safety laws in more than 70 years. Almond growers are required to comply with FSMA rules, as relevant to each part of their operation. Almond growers and other primary or secondary activities farms, such as some hullers/shellers and brownskin almond facilities, must comply with FSMA’s Produce Safety Rule. This rule provides the first-ever mandatory federal standard for the growing, harvesting, packing and holding of fresh produce, including nuts. The rule focuses on efforts to reduce risks associated with microbial contamination at the farm level. A Commercial Processing Exemption may be available for some farms. Growers and the broader almond community are in a strong position to comply with the Produce Safety Rule, as the almond industry is already implementing Good Agricultural Practices, Good Manufacturing Practices and an industry-wide pasteurization program. These initiatives are part of the ongoing leadership and vision of growers, hullers/shellers and processors. 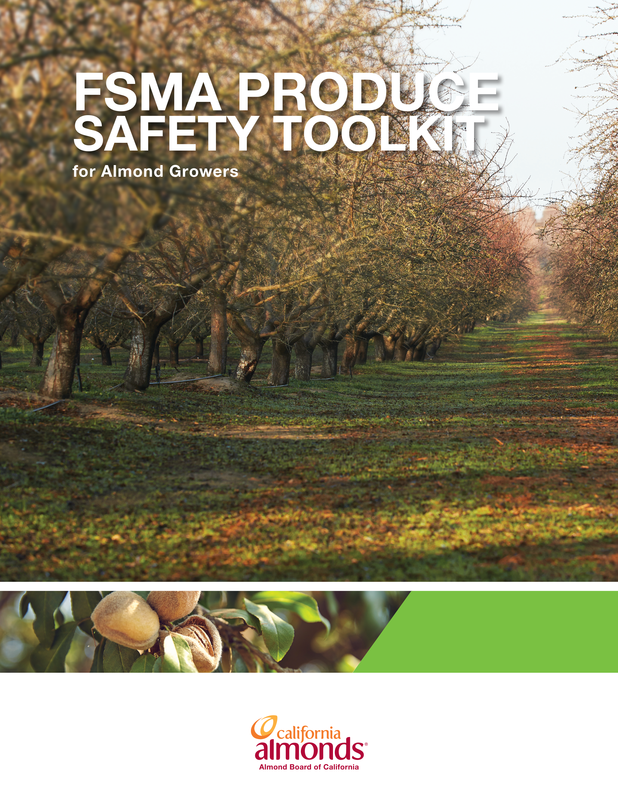 The Almond Board of California developed several resources to help growers navigate what FSMA’s Produce Safety Rule requirements mean for their operation, including the Almond Board’s FSMA Produce Safety Toolkit. This tool explains the particulars of the Produce Safety Rule in simple, straightforward terms and provides growers with what they need to know about the rule, including steps for compliance and instructions on how to create an almond-specific Commercial Processing Exemption Plan summary. Is My Operation a "Farm" Covered by the Produce Safety Rule? What Do Farms Need to Do to Comply with FSMA? If I Am a Farm That Engages in Certain Manufacturing Operations, When Am I Subject to the Preventive Controls for Human Food Rule? What do I Need to Do if I Send Human Food By-Products for Use as Animal Food? What do I Need to Do to Comply with the Sanitary Food Transportation Rule? What Training Requirements Does FSMA Have?